Metal Gear turns 25 next year, and Hideo Kojima is planning something - but don't expect to see it at this year's E3. In July of 1987, Konami released a top-down "stealth-based" action game for the MSX2 computer system called Metal Gear, a game which would eventually see release on the NES. Eleven years later, in 1998, Metal Gear Solid for the PlayStation brought the series to a new level of popularity, officially making it one of the biggest names in gaming. July of 2012 marks the 25th anniversary of the Metal Gear series, and creator Hideo Kojima has something big planned to celebrate. At least, that's the news from a very quick yes-or-no Q&A session in the latest Kojima Productions podcast, according to Andriasang. There is no word on anything related to the 25th anniversary celebration other than that. 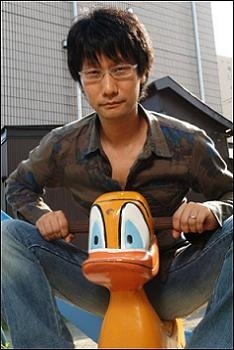 However, Kojima's many "no" answers were as illuminating as his "yes" ones. According to Kojima, he will not be appearing at Microsoft's E3 press conference, he will not be announcing a Metal Gear Solid 5, they will not be showing the multiplayer of MGS: Rising, and there are no plans to port MGS4 to Sony's NGP, tech demonstrations notwithstanding. On the other hand, Kojima did confirm that the 3DS remake of Metal Gear Solid 3: Snake Eater - also known as the best game in the franchise and one of the best games ever made - will be seeing a release by the end of the year. That's something, anyway. I would be very surprised if Kojima did announce MGS5, seeing as how Peace Walker was already supposed to be MGS5.